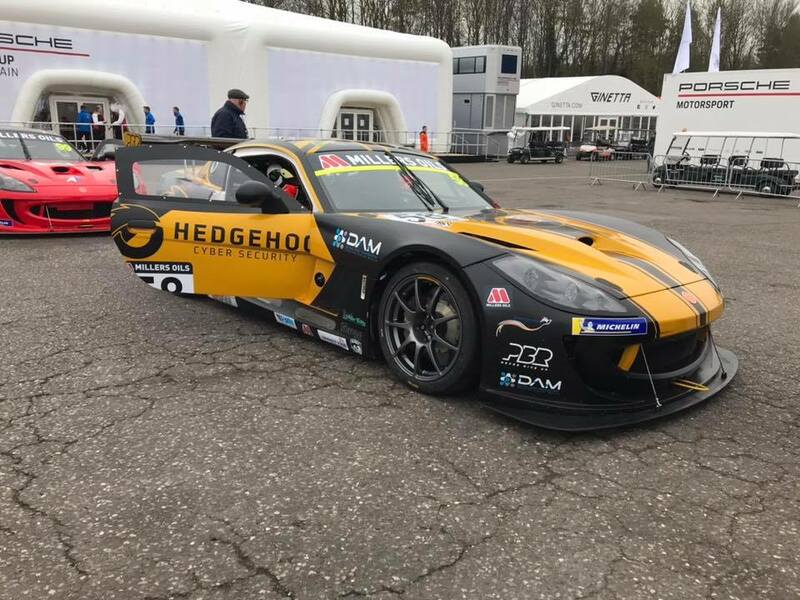 Century Motorsport and their three-strong team of new Am-Class drivers headed to Brands Hatch Circuit at the weekend for the opening round of the Ginetta GT4 SuperCup. After a weekend of ups and downs – with bad luck and good – the Fenny Compton-based team came away with an impressive two wins and a third place. First thing Saturday morning, the qualifying session got underway. The top times were all very tight and two Century Motorsport drivers had quicker times than some of the drivers in the Pro-Class. Nathan Heathcote, 2017 MSA British Rallycross Champion, impressed from the outset and qualified in second place, just 0.054s off pole. Jack Oliphant, top four finisher in the 2017 GRDC+ Championship, put in some decent lap times, posting the fourth quickest time in the first SuperCup qualifying session of the year. Peter Bassill, Vice Champion in the 2013 Monoposto 1800-Class Championship and very recent first-time father to twins, qualified in 11th place. The first SuperCup race of the season was later that afternoon in tricky weather conditions. The track had appeared very greasy for the previous couple of races however it looked as though it had started to dry up and the majority of the teams in the assembly area made a last-minute decision to remove the wet tyres and replace them with slick tyres to suit the drying conditions. A s the race started, so did the rain. The teams that had opted for slick tyres had unfortunately made the wrong choice and those fitted with wet tyres charged off the line getting a great start. Car 50, driven by Heathcote, was out on slicks and so was car 68, driven by Oliphant. 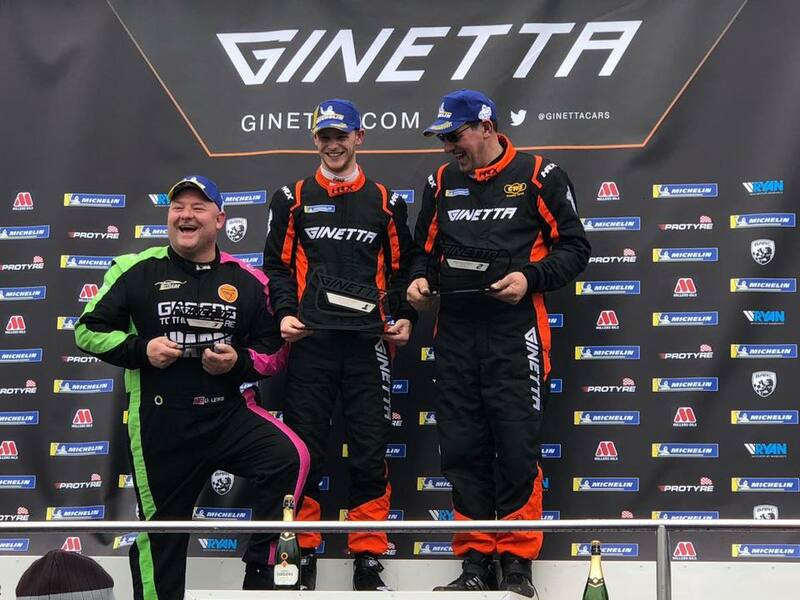 Car 58, with Bassill at the wheel, was one of the lucky ones who had kept the wet tyres on and this made for an enjoyable race with a very good result for the Cyber Security Expert in his debut SuperCup race. Bassill gained two positions off the line and by the end of the first lap he had gained a further four places. An incident further ahead lead to a safety car being deployed and it was at this point that Oliphant came into the pits for a tyre change to suit the dampening track after falling far behind on the race start. A short while after, the team decided to call Heathcote into the pits to change his tyres in the hope that the safety car would complete another lap however just after Heathcote pulled into the pits, the green flag was waved and normal race speed was resumed. This meant that when Heathcote exited the pits, he was a lap behind. Bassill worked his way through the field after the safety car period and finished the race in an impressive sixth in class. This gave him an outright race position of 10th, ahead of some of the Pro-Class drivers. Heathcote and Oliphant crossed the line in ninth and 10th respectively after losing time at the beginning of the race, putting them a lap behind. Going into race two in the evening on a very damp track, all of the cars opted for wet tyres. This time, Bassill dropped a few places off the line and in the tricky conditions he struggled to find any gaps despite beating his best lap time from the earlier race. Bassill crossed the line in ninth place. Oliphant started the race from the back of the 20-car grid. He gained two places on the opening lap and by lap 11, he had gained a further three places. He defended his position well and then luck went his way on lap 18 as an incident ahead promoted Oliphant to a podium spot. 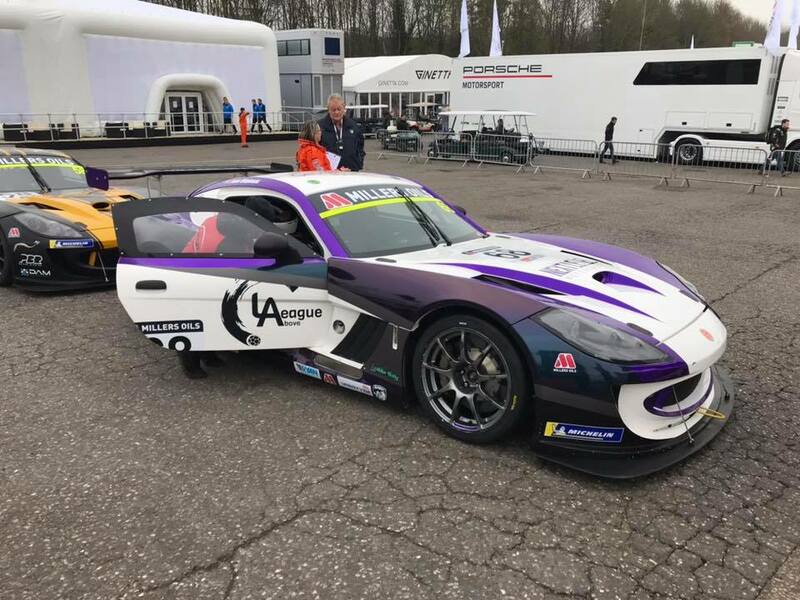 Oliphant then spent the final eight laps ensuring that he secured his podium spot and he crossed the finish line in an impressive third place, taking home his first SuperCup silverware on his debut weekend. Starting from ninth on the grid, Heathcote stormed his way through the field and by the fifth lap he was the Am-Class leader. He then went on to control the entire Am-Class race, achieving the fastest Am-Class lap of the race whilst also getting to stand on the top step of the podium. Race three was shown live on ITV4 on Sunday afternoon. 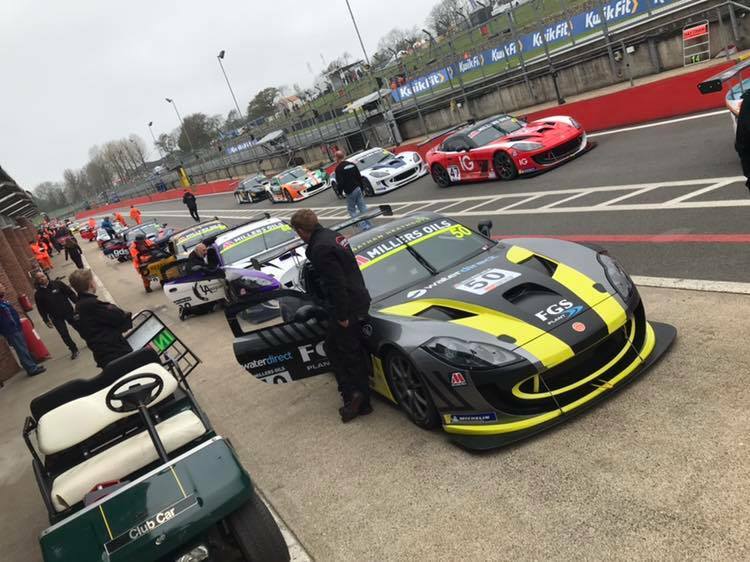 The top three finishers from race two were reversed on the grid for race three so Heathcote and Oliphant switched places – Oliphant started on pole (Am-Class). Bassill started from ninth on the grid. Oliphant put in a good few laps, pushing for another podium spot but luck wasn’t on his side as after just four laps he was forced to retire from the race. Helped by the drier conditions, Bassill managed to improve his fastest lap time from the previous race by almost seven seconds. Despite his quicker pace, he remained in ninth place for the entire race. Starting from third on the grid, Heathcote shot off the line, taking the Am-Class lead. 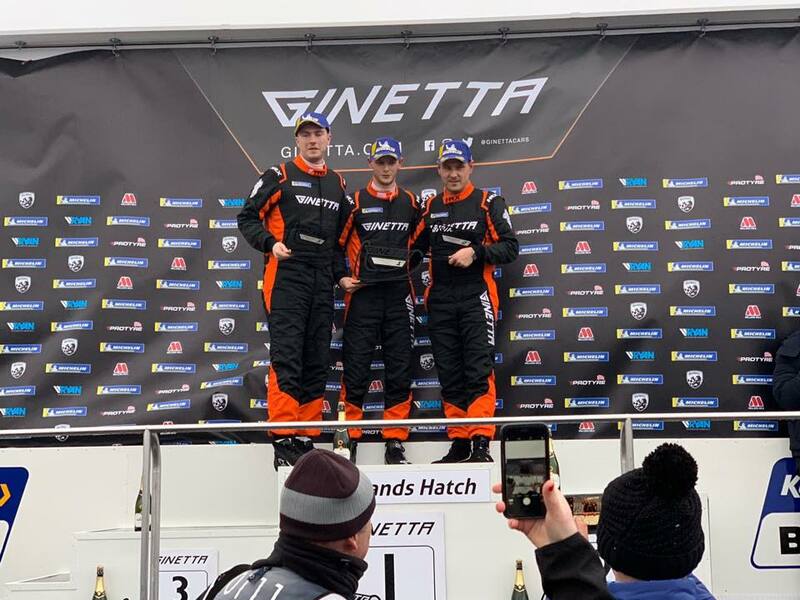 He controlled the race incredibly well for the entire 26 laps, going on to claim victory – making it an astonishing two out of three race wins for Heathcote in his debut weekend in circuit racing. The next round is less than two weeks away on 27th – 28th April and will be held at Donington Park.